St. George Men’s Group is hosting a charity golf tournament on Thursday, September 13. 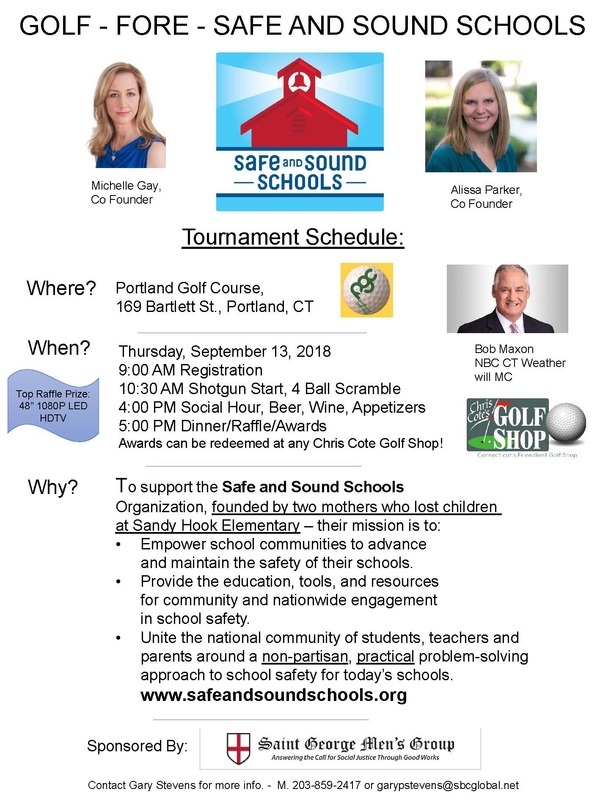 Proceeds from this tournament will benefit Safe and Sound Schools. This event will take place at the Portland Golf Course in Connecticut. Click here for a full description of the tournament schedule. Enjoy golfing for a good cause, followed by a social hour, dinner, raffle and awards.